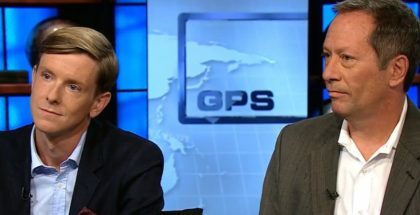 On October 16, Chris Hughes (Facebook co-founder) and Eduardo Porter (NY Times columnist) debated basic income on CNN’s GPS with Fareed Zakaria. Arguing in support of basic income, Hughes not only emphasized that job security is falling, but also that Americans are currently living on less than they were 20 years ago. He cited a federal report published in May 2016, finding that nearly 50% of Americans could not find $400 in the case of an emergency—but rather that they would have to borrow or sell something to come up with that amount of money. Arguing against basic income, Porter said he is confident we will be able to create other demands and find new jobs for people—given that humanity has done so in the past. He estimates that the cost of an American UBI would equal the total amount of federal government expenditure today. Furthermore, he believes that if the US were to implement a basic income, it should be conditional. Photo: CNN, screenshot from debate. An individualized poverty-level NIT(tapering income) for resident adult citizens to eliminate poverty is cheaper (fraction of the cost) and easier to sell. You can also springboard APT tax reform off of it to eliminate the marginal tax rate (more net take home pay and more net revenue). That notion would eliminate the income tax and pique the interest of the libertarian and republican camp.. When you specify residential education facilities for orphans and children of single parents, you avoid the debate of incentivizing population growth. Since the stipend is at the poverty-level, then you gain the support of charitable persons. And it’s much easier to show and justify the numbers. It’s just a shame that this is not recognized as a form of UBI because you would have more support for the idea.